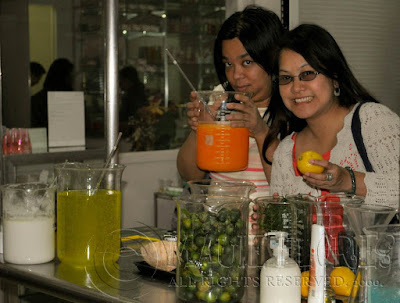 Last December 14, 2009, I was invited to be a part of a group of bloggers who visited Glowcal Manufacturing Corporation's factory here in Cainta. 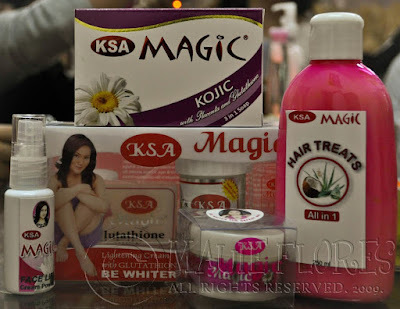 Glowcal is the maker of KSA Magic and other beauty products such as Kojic and Sutla. The event was also an intimate meet-and-greet with KSA Magic's celebrity endorser, Ms. Gladys Reyes. 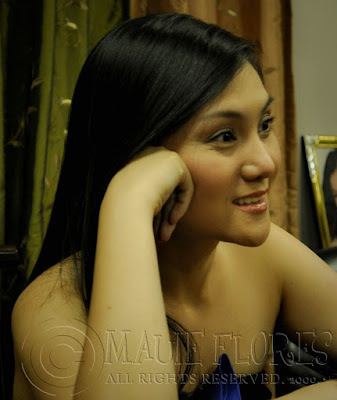 Ms. Reyes spoke about how KSA Magic products keep her skin smooth and flawless. She's really pretty and flawless, as you can see in the photo above. She's sweet and charming, too. She and Glowcal Manufacturing Corp. owner, Ms. Elizabeth F. Perez de Tagle, introduced us to the real deal about KSA Magic. 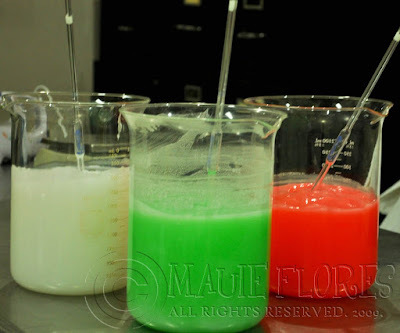 KSA Magic soaps are manufactured through the cold process method. Soaps made using the cold process method are better than the commercially-manufactured soaps because they retain the herbal extract oils and glycerin added to it. Glycerin is the ingredient that is vital in keeping moisture in the skin therefore maintaining its softness and suppleness. Plus, cold processed soaps do not need chemicals in order for them to maintain a longer shelf life. As you can see, KSA Magic is made with all-natural herbal extracts from lemons, calamansi, and coconuts.